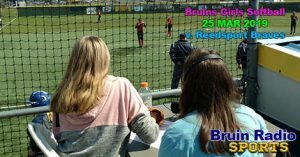 Bruin Radio Sports is a play-by-play show hosted by Brookings-Harbor High School staff, students, and alumni. 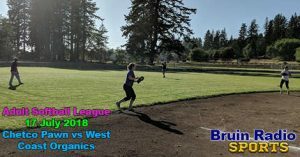 The Brookings-Harbor High School Bruins Softball girls go up against the Reedsport Braves in a non-League home game on the 23rd of March, 2019! Two new show hosts call the play for the first of two games that day, and Abigail Gisler and Trinity Sayne had a great time talking about their fellow students and the game on the field. Bruin Radio Sports episodes are great to listen to while on long drives or while doing projects, so try downloading this episode and dropping it on your phone to listen to later! Photo by Brookings-Harbor High School Staff. 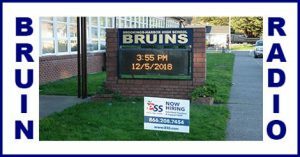 Student participation in this school-approved learning and creativity project is by the permission of the students and their parents or guardians, and is conducted with the guidance of BHHS Teacher Mr. Tippman and the approval of school administration. Names and pictures that may be included in this posting, and the names of students that may be mentioned in the show itself, were provided to Curry Coast Community Radio by the Brookings-Harbor School District with permission from the students and their parents or guardians in accordance with School Board Policy “JOB – Personally Identifiable Information” and the Brookings-Harbor High School form “Releasing Student Directory Information” signed by the parents or guardians. 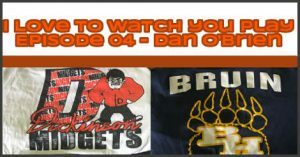 Bruin Radio is a radio news show produced by the students and staff of the Brookings-Harbor High School. Robotics Liaison Ethan Warner reports that Mr. Manning of BC Fisheries visited and taught Robotics students how to TIG weld and gives us a brief explanation of what TIG welding is. BHHS Teacher Kelly Garvin introduces listeners to an art history project completed by the sophomore students of her World History class. One of her students, Peyton Armentrout, discusses his project about Celtic symbols and shares about his own interest in getting a tattoo of some of the symbols on his skin. We also hear some great advice from BHHS graduates and some current students. Don’t miss a little life advice! If you’re a student or staff member and you’d like to get involved, or if you’re a community member with input or advice for Bruin Radio, please reach out to us! Email Dane Tippman of the Brookings-Harbor High School. We would be thrilled to hear from you! For more great High-School radio shows, check out the Brookings-Harbor High School radio page, a proud partner of Curry Coast Community Radio! The Bruin News segment used the Wikinews briefs jingle, by Steven Fruitsmaak, Creative Commons Attribution-ShareAlike 2.5 Generic license. The Bruin News intro music is from the Prelinger Archives on the website archive.org, and is released under the Creative Commons Public Domain license. The full show from which the Bruin News intro music was taken can be found at https://archive.org/details/0596_On_the_Air_20_09_04_00. This episode features selections from music composed by artist Derek Thomas Dew, also known as Touchless Remover on SoundCloud. Listen to his work here: https://soundcloud.com/touchlessremover. Tune in to our first episode of the year! Host Natalie Garcia returns to fill you in on what’s been going on and what’s coming up at the home of the Bruins. The show includes an investigative report by Jacob Benson regarding a cut phone line at the High-School, as well as some student-in-the-hallway opinion reporting by Kedric Hoy. Heroes Don’t Take Water Breaks is a sketch comedy program by a band of friends and brothers, including Maclane Westbrook, Jadin Payne, Quarry Sarabia, Gage Westbrook, Laurie Buehler, McKenna Davis, Miranda Wolfers, and Jed Doan. Written by Maclane and Jake Westbrook, the show presents satires, parodies, and re-creations of classic scripts. Welcome to the true final episode of Heroes Don’t Take Water Breaks on KCIW! It’s an hour-long special brought to you by the cast of Brookings-Harbor High School students, staff, and alumni. We hope you enjoy this broadcast and that you remember this show as fondly as we do. Subscribe to the podcast on iTunes at itunes.apple.com/us/podcast/heroes-dont-take-water-breaks. 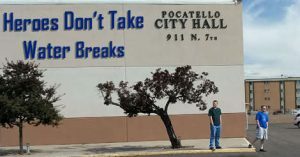 Like us on Facebookfacebook.com/heroesdonttakewaterbreaks, or send us an email at heroesdonttakewaterbreaks@gmail.com. Music Bass Walker and Covert Affair are by Kevin MacLeod, from incomptec.com, Creative Commons Attribution 3.0 Unported license. Feel the Funk is by Jimmy Fontanez, from the Youtube audio library. Creative Commons Attribution 2.0 Generic license. The Old Time Radio mashup Confused is an original creation of Jake Westbrook and Casey Farris. The “Fakey Organ Music” is an original creation of Casey Farris. Other sound effects license from Wave Brigade. Welcome to I Love To Watch You Play, the show that educates, entertains, and inspires; for the person that wants to be the best version of themselves. Hosted by Azalea Middle School Vice-Principal and Athletics Director and Brookings-Harbor High School Boys Basketball Coach Buell Gonzales Jr. and Chris Schofield, Brookings-Harbor High School Girls Basketball Coach. 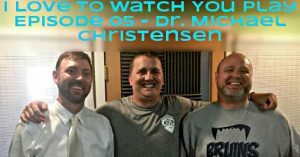 Our guest is Dr. Michael Christensen of Oregon Coast Dental Care, and parent of student-athletes of our Brookings-Harbor School District. Our show hosts want to know what it’s like being a parent of young athletes; what is it like to watch them play? If you’re interested in providing feedback on the show, or if you’d like to apply to be a guest, e-mail Dane Tippman at dane.tippman@kciw.org or Buell Gonzales at buellg@brookings.k12.or.us. Producers: Dane Tippman, Buell Gonzales Jr. 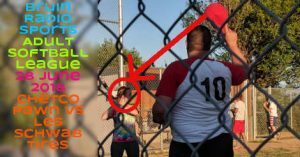 In this episode, Summer Olmos returns to join Dane Tippman in covering an exciting Adult Softball League game! The Chetco Trader crew does much better this time around, matching the score with their Town and Country opponents. We have a lot of fun calling plays, and you would too if you’d like to get involved! Reach out to us if you’re interested in participating. If you’re washing dishes or mowing the lawn or doing any kind of mind-numbing, repetitive work, why listen to music when you could listen to our play-by-play? Download our podcast, put it on your listening device and give us a try! Thank you to the Brookings Harbor Adult Softball League for hosting us at their games! Student participation in this school-approved learning and creativity project is by the express permission of the students and their parents or guardians, and is conducted with the guidance of BHHS Vice-Principal Alex Merritt, BHHS Teacher Craig Cooper, BHHS Teacher Mr. Tippman and the approval of Brookings-Harbor High School Principal Lisa Dion. 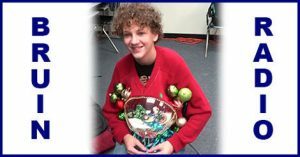 Names and pictures that may be included in this posting, and the names of students that may be mentioned in the show itself, were provided to Curry Coast Community Radio by the Brookings-Harbor School District with permission from the students and their parents or guardians in accordance with School Board Policy “JOB – Personally Identifiable Information” and the Brookings-Harbor High School form “Releasing Student Directory Information” signed by the parents or guardians. This episode features Dane Tippman flying solo as your host! You might hear some familiar names if you know the students, staff, and former staff of the Brookings-Harbor High School. Our special guest is Dan O’Brien, former Azalea Middle School Math teacher and coach of several sports at our schools! Mr. O’Brien returned to Brookings to see the 2018 graduation and was more than happy to join us on our program. We are joined by co-host extraordinaire Sheila Maury (please e-mail me at dane.tippman@kciw.org if our spelling is incorrect Sheila!) and the hum-drum usual host Dane Tippman. 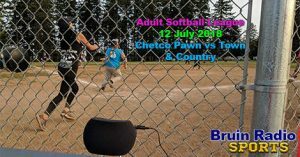 The game we’re calling plays for is between the two Brookings-Harbor Adult Softball League teams, Chetco Pawn and the Les Schwab Tires team, who we affectionately dub the “Schwabbers”. You’ll hear lots of affectionate dubbing in this episode as the hosts are still learning who’s who out there! The final score is a little better this time around for the Chetco Pawn team, as you’ll hear if you tune in. Hey, if you’re washing dishes or mowing the lawn or doing any kind of mind-numbing, repetitive work, why listen to music when you could listen to our play-by-plays? Download our podcast, put it on your listening device and give us a try!